At Hayes Unfinished Furniture we specialize in real wood furniture for every room in your home. All of our unfinished furniture is real wood, no particle board. At Hayes, it's all about you! You will find a large selection of unfinished furniture and pieces with beautiful custom finishes. No matter what your style, your color, your personality, we have what you're looking for! Stop in and see what we have in-stock and let us help you find the perfect piece of furniture for your home. If we don’t have exactly what you have in mind, we’ll be more than happy to place a special order for you. 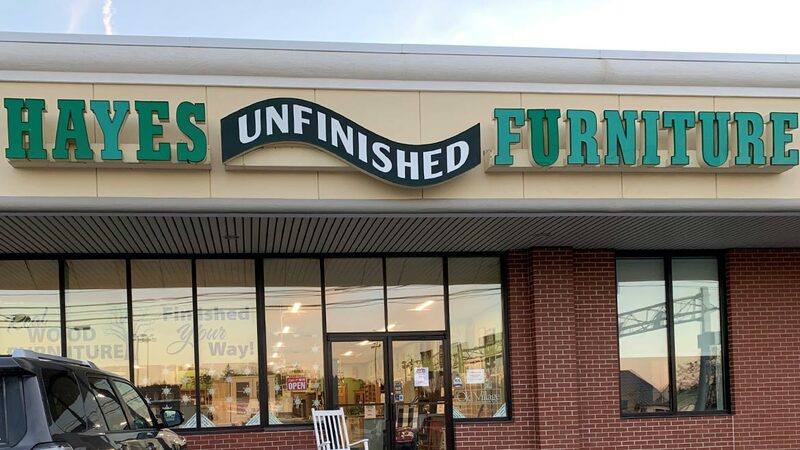 If you can’t make it into the store and would like to place an order, you can email us at info@hayesunfinishedfurniture.com, or call us at (207) 989-1477, with your order information. If you are emailing us please provide us with the your full name, address, phone number and product information. Once we’ve received and confirmed your order we will discuss payment options and arrange shipping. We accept Visa, MasterCard, Discover and American Express. Do NOT email us your credit card information - we will contact you to confirm and finalize the order and go over shipping fees with you.